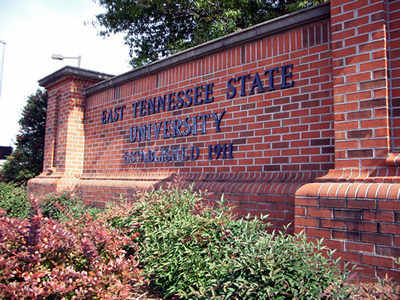 Eastern Tennessee State University, E.T.S.U., in Johnson City, TN: First stop on the Southern Circuit Film Tour (23 locations in Southern states over 11 days) with Bag It, the film I narrate and represent. First of all, for anyone who might think this tour is some sort of mini vacation, like I did, think again. My itinerary is jam packed with not only screenings and Q&A sessions, but dinners with interesting and interested people, lots of class time with college and high school students, lunches with environmental groups and even fitting in a little sight seeing on the side! At ETSU I started the morning bright and early with an Intro to Theater class. Some students were getting ready for a production of Julius Caesar and others told me about short film projects they had done. I of course had to share my story of being at ETSU in 1995 with a touring production of Hamlet where our Hamlet had a stomach bug and was throwing up violently on show day. Instead of cancelling the show and having to possibly drive back we decided to place a garbage can on either side of the stage in the wing, so Hamlet could finish a soliloquy and then make an exit and puke. It worked and it was also one of his best performances! A mini acting lesson maybe? Getting a tour around the theater where it happened brought back lots of memories. I then headed on to meet with Cathy Whaley, whose class I would be attending next. Cathy teaches film and various English classes, and is an encyclopedia of film knowledge. Sometimes I felt a little embarrassed, not having seen certain things she mentioned. I mean, I’m supposed to be the film guy right? This was her Thinking/Argument/Civic Engagement class. It was here that I got some tougher questions about our approach to researching Bag It. Why did we included or not include include certain topics in the film? Did we look into enough of the positives aspects of plastic? It made me think of things we perhaps could have explored more, given the time and money. It gave me pause. Had we, as suggested, created a film with an ‘agenda’? Joel the ETSU Bag Monster! Next I was escorted to lunch with the ‘Eco Nuts’, a student group who do a lot at ETSU to promote recycling and all things green. They have instituted a bags to benches program with Trex Lumber where for every 10,000 bags collected the school will get a bench to place on campus. Very cool. 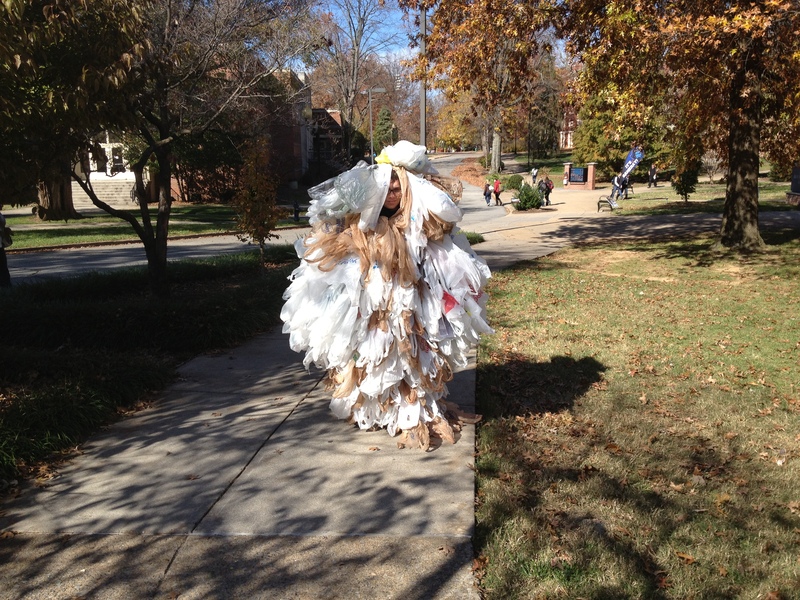 Oh, and I can’t leave out Joel the Bag Monster, who was out in the bag suit promoting the evening’s screening. I’ve worn those things many times and they are not the most comfortable, but Joel was a great monster who will be appearing on many Facebook pages in the weeks to come, judging by how many pictures were taken. Later, I had dinner with a Professor of TV and Media Studies, along with one of her star students, Mike Fink. Tammy wanted me to meet Mike as he is an up and coming filmmaker/comedy guy who has had a couple of videos go viral, which is more than I can say for myself. The three of us discussed tv and film careers and how there are lots of different ways to carve out a niche for yourself these days without moving to LA, not that there’s anything wrong with that! It’s always nice to think you have something of value to tell a guy like Mike who seems so excited and I think destined to do some interesting things with his life and career. The screening was great with lots of good discussion afterwards…and cake! 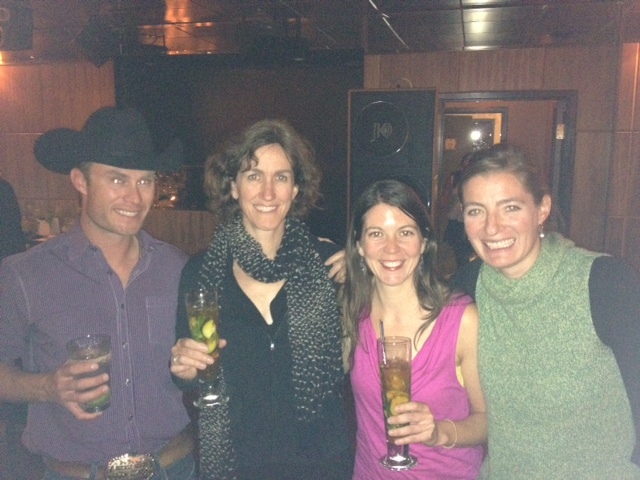 Got to meet a lot of great people who had a real excitement about the film and issues around plastic. A big thanks to everyone there, Dr Michael Briggs and Donna, who picked me up at the airport, Heidi and Lise from the Mary B Martin School for the Arts who hosted the event, Cathy Whaley, Tammy, Mike, Joel the Bag Monster and all the folks from Eco Nuts and the campus recycling group for being a positive example for all the students at ETSU. Hope to be back sometime before too long. Next stop, Manteo, NC. The Outer Banks! Yeah! Bag It has been shortlisted for the PUMA Creative Impact Award, and the whole team is going to Berlin for the announcement of the finalist! The finalist will be selected from international submissions as “the documentary deemed to have made the most social impact” this year. We are so grateful for everyone’s widespread appreciation of the message of the film. Bag It has been welcomed at 1000 schools, universities and corporations across the world, with hopefully many more to come! We’d like to send a shout out to PUMA for their new dissolving plastic bags. See here. As individuals and as organizations, we are faced with some serious challenges today such as ongoing conflict, climate change, loss of biodiversity. None of these issues will solve themselves without intervention. We, at PUMA, have chosen to intervene through film because it is the most powerful medium to reach mass audiences and influence opinion formers and will contribute to leaving a better world for generations to come. Last week, we highlighted the imminent flight of an Australian pilot who plans to fly half-way across the world using plastic as fuel. 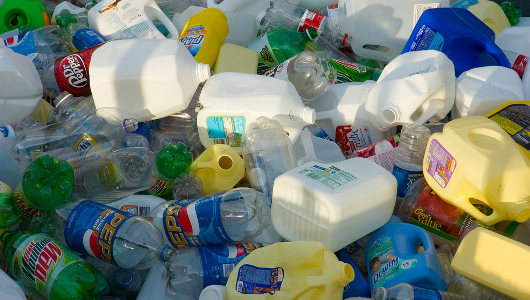 Increasingly, scientists are looking at ways to convert existing plastic into new products or fuel. See this New York Times article. 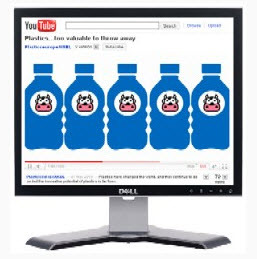 Also check out this lovely video about increasing the life-span of existing plastic products. Smart plastic, we like to call it! Since plastic will continue to exist (for thousands of years), why not continue to think creatively about how to harness its potential? Plastic demands 8% of the world’s petroleum each year; maybe we can steadily reduce that demand by using what had already been made. I’m doing this because I believe that unless we do something to give back to the planet, we’re stuffed. It’s not about me, he says — the story is the fuel. 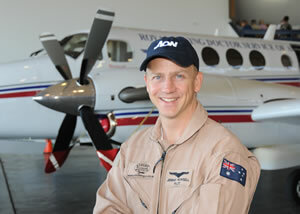 The idea is to fly the whole route on plastic fuel alone and to prove that this technology works, Rowsell said. I’m a kind of carrier pigeon, carrying a message. We have a whole bunch of waste kicking about. So instead of sending it to the landfill, let’s use it. Read more about a plastic-to-fuel conversion technology at Clean Oceans Project. Bottled water, as Peter Green points out on Bloomberg, is the healthy alternative to sugary sodas and juices. 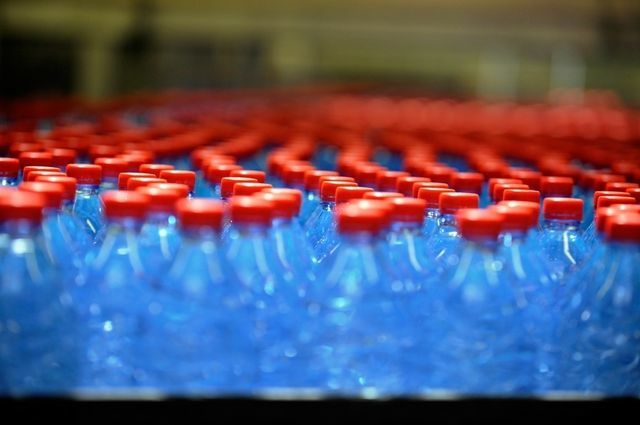 Bottled water sales grew 9% last year, as people made the switch to a healthy alternative. Of course we should drink water. As we’ve pointed out before, access to clean water is a diminishing resource, and one we should prize. For more information on global drinking water access, see this great film. We just want everyone to bring their own cup or bottle, everywhere, whenever they can. How’s that for a carbon footprint? Read more statistics on that lone bottle from the Water Project. See this beautiful slide show on the problem of plastic around the world. “American oceanographer Charles Moore has labelled plastic pollution as a bigger problem than climate change, and one that must be fixed. 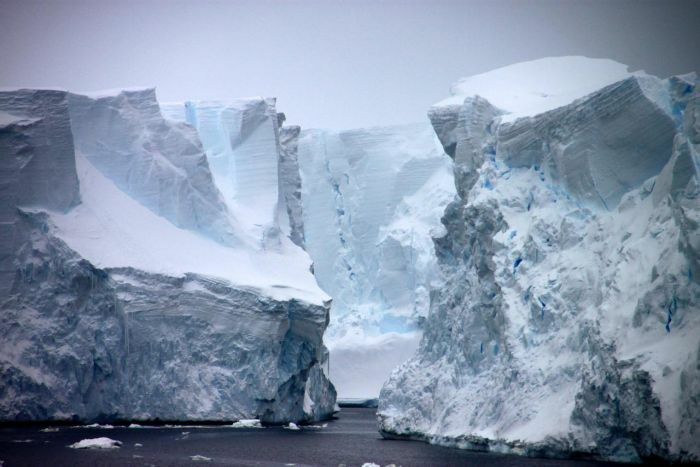 Plastic pollution arriving in Antarctica, our last pristine “frontier,” by way of the Southern hemisphere is found to be poisoning marine life and entering our own food chain, according to new research published in ABC News’ The World Today by Miriam Hall. Moore wonders what it will take for our disposable culture to end. Five years ago, he says, there were birds without traces of plastic ingestion to be found along the coasts of his home country, Australia. Being alert to the reality of throw-away culture is the first step. Now, what will you do about it? Join Bag It’s New Contest to Reduce Plastic in Schools! We are officially launching the Bag It Plastic Free School Contest! Sponsored by the Johnson Ohana Charitable Foundation, founded by Jack and Kim Johnson to support environmental, art, and music education now and into the future, the winning school will receive a personal video thank you from singer/songwriter Jack Johnson. 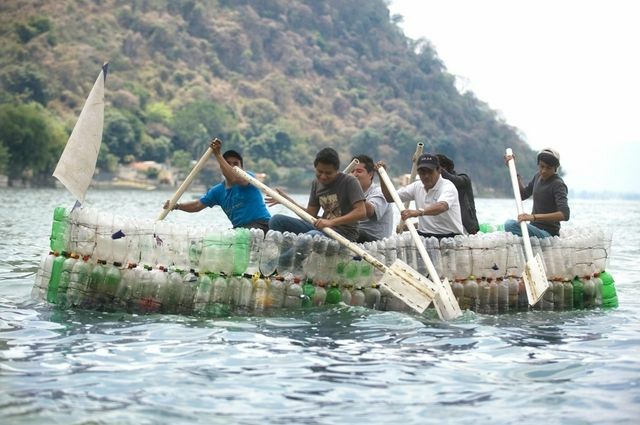 A trip to the Algalita Marine Research Institute’s Plastic Ocean Pollution Solutions (POPS) International Youth Summit. Teachers and students are encouraged to develop creative and effective action projects that reduce disposable plastic use in their communities. Participating students can use the DVD and curriculum packet as a tool to develop and execute plans that change the way their school, and communities, perceive and use single-use plastic products. There are also numerous resources available on the contest webpage. Jeb’s Southern Circuit Tour Wrap-up!